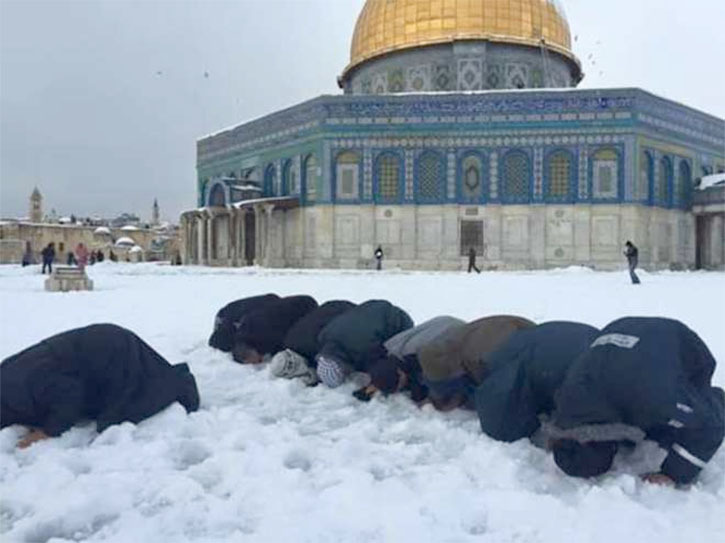 Occupied Jerusalem (Palestine): Photos of dozens of Muslims offering Salaat (also referred as Namaaz or daily prayers) at snow covered Al Aqsa Mosque in Jerusalem are winning hearts across the globe. 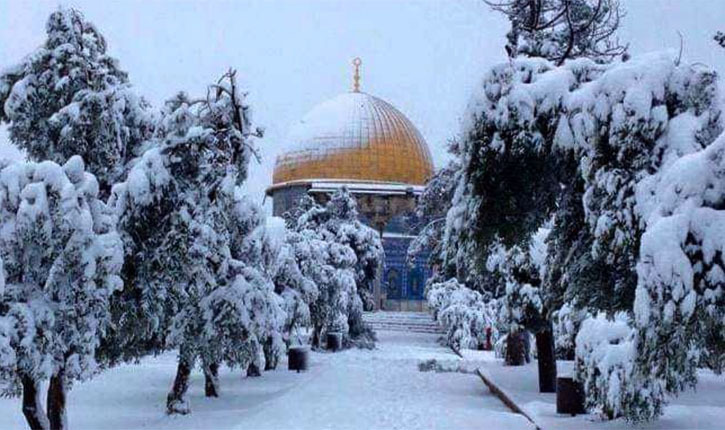 Jerusalem was blanketed in snow this week for the first time in four years. Citizens of Jerusalem flocked to the streets to enjoy the rare sighting, with some even grabbing hold of their toboggans. A beautiful shower of snowflakes swirling around the golden top of the Dome of the Rock could be witnessed while the snow began to fill the square by the Western Wall. Video captured snow falling around the ancient holy sites for the first time in years. At the same dozens of Muslims reached the Al Aqsa Mosque and offered Salaat on the floor densely covered by snow. Photos of Muslim offering Salaat on the floor of Al Aqsa Mosque with Dome of Rock in the background is being widely shared on different social media platforms. Earlier in the week, high desert winds swept through Israel, the West Bank and Gaza, carrying sand and dust, while snow was already falling in Israel's mountainous north, where torrential rain and hail stranded some cars and turned streets into rivers of mud. But the children of Jerusalem were expected in school as usual on Thursday morning as the snow failed to stick and had turned to slush, the Jerusalem Post reported. The only ski resort in Israel - the Hermon Resort at Golan Heights - was overjoyed with the dump and told the Times of Israel they had 15 inches in 24 hours. 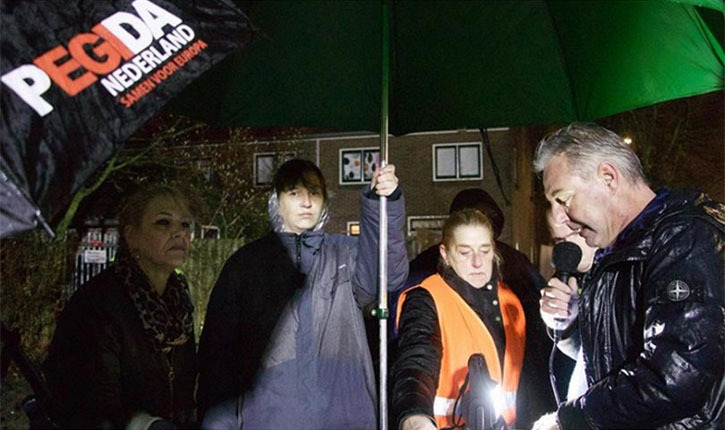 The Israel Electric Company told the paper that Wednesday night broke a megawatt record as citizens went for their thermostats in the frigid conditions. The average temperature for January in Israel is just over 19C, not nearly cold enough to accommodate snow.